Two sources close to the Trump administration say officials have told them to move forward with plans to meet Kim Jong Un for the first time in Singapore. The report comes hours after Trump ruled out the Demilitarized Zone (DMZ) as a potential meeting spot which is the zone between North and South Korea. The choice of Singapore as the ideal meeting grounds for the summit is made even more likely by the ruling out of the DMZ. White House officials have said a date and time has been chosen but have not announced them yet. Some said the Singapore meeting is set in motion but Trump could still decline to sign-off on the meeting. "I can tell you that a date and location are set, but, beyond that, I don't have any other announcements at this point," White House press secretary Sarah Sanders said. Sanders added she expects the meeting to be announced in "the next few days." Kim Jong-Un said Wednesday that his meeting with Trump coming up will be a positive step for peace between North and South Korea. The Korean Central News Agency reported, "He said that the coming DPRK-U.S. summit would be a historic meeting for the excellent first step toward the promotion of the positive situation development in the Korean peninsula and building of a good future." 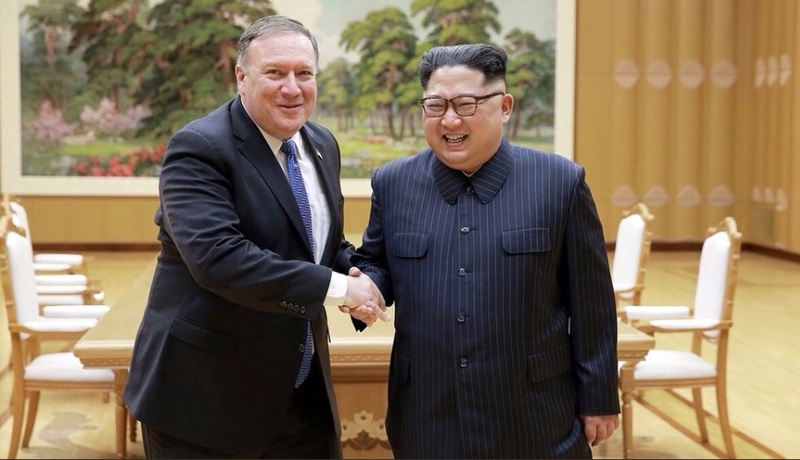 Newly appointed Secretary of State Mike Pompeo visited North Korea again this week, this time to secure the release of three prisoners being held by North Korea. Kim Jong Un agreed to the release of the prisoners ahead of the upcoming summit with Trump as a sign of peace and goodwill.